The magician’s thumbtip can be one of the most powerful gimmicks in performance. 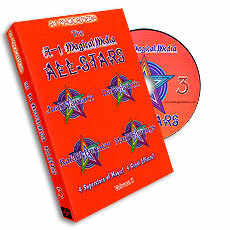 The DVD contains easy to learn routines & vanishes. A Vanishing Kit comes with the DVD! Collect the series!